PALEO JAY SMOOTHIE CAFE: Eat Fat to LOSE Fat! Probably the best way to lose fat; not just weight per se but real FAT, is to eat fat! 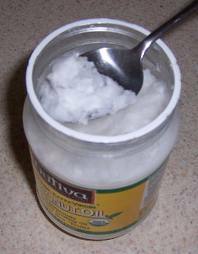 Coconut oil- coconut milk, oil, powder, whatever! 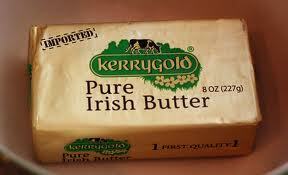 Pastured butter- Kerrygold from Ireland is the best!! It doesn't matter how you incorporate these delicious foods, just do it! The best kept secret of losing fat is to eat good fats! My assignment for you this week to lose fat and become healthier?? Put real cream in your coffee! Top it with cinnamon- and I mean real whipped cream- not that crap-in-a-can! I even recommend adding some coconut oil to your coffee as well- you will stay really full, and feel very satisfied all morning, trust me! Put coconut oil/milk/powder into a smoothie! Berries and coconut oil in a blender are good for a start on the paleo high fat low carb lifestyle! just don't eat the skin! And do not put butter on BREAD! Bread is VERBOTEN! BAD BREAD! Wheat is the worst thing for your body, EVER! Again, trust me on this!! So, there you go- eat lots of good Fats! Then, you will lose fat. Guaranteed!